Sasha - is a true milonguero inside! 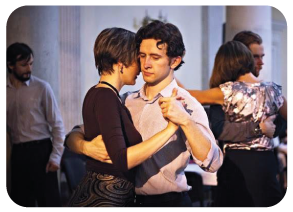 When he just started dancing, he dived into tango so deeply absorbing everything that teachers gave him and exploring the subject on his own. Soon he began to teach and to DJ - and he succeeded in both things!